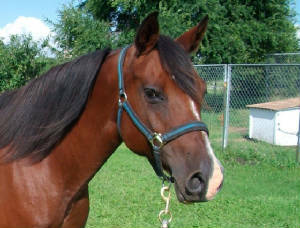 Consignment horses: For some of these horses, we have additional pics we can send. 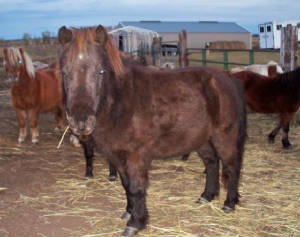 In most cases we did not take the photos nor have we met or handled these horses in person. We are describing them in the owner's words. Feel free to contact the owner for more information and please make sure to let them know that you saw their horse advertised on our website. Thank you! Posting this ad-5/25/16: This is Indigo. I received a wonderful, descriptive email from her owner, after a long phone conversation and will copy and paste the majority of it here, so you can learn her story. The picture got a bit "cropped" when I re-sized it. I will probably change it out for a full picture of her. Here is the description of Indigo, from her current owner. 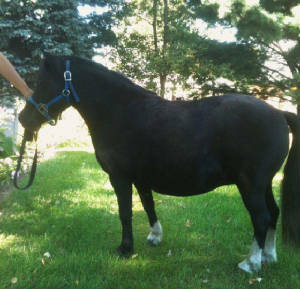 Attached is a pic of the horse I was telling you about over the phone a few days ago. 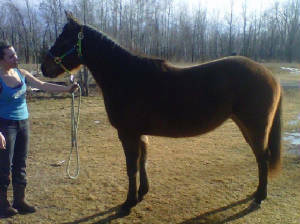 Her name is Indigo and she is half Quarter Horse, half Mustang. She is 21 years old, healthy, with sound feet and good teeth that we had floated last fall. I think she is about 15 hands high, possibly a little more. She was used as a trail horse before we got her, ridden in a curb bit and tie-down by well-intentioned but inexperienced teenage riders. She has never been separated from her foal Chase (now 16 years old) and shows severe anxiety and herd bound issues whenever he leaves her side. She is afraid of just about everything, but will stand for the farrier as long as Chase is near her. She lacks trust, but has made progress with us as we worked with her over the winter. (We got her last October). 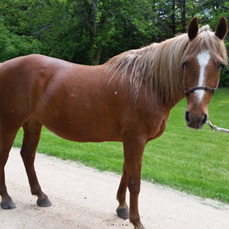 She will let us approach her and pet her, groom her, put a rope around her neck, lower her head, halter her, and lead her away from the barn and the other horses. I also worked with her on trailer loading. She is extremely sensitive about her ears, but will let me touch them now. We have only been working on ground work, responding to pressure and basic handling and have not ridden her since last fall as we were planning to train her for the snaffle bit this summer. I think it would be very good for both her and Chase to be separated from each other. She needs to learn how to bond to people and trust people. 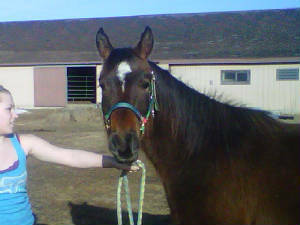 With the right person, I believe Indigo has potential to be a great trail horse. She needs an experienced handler who has a lot of patience and is willing to take the time and go slow and gentle with her. 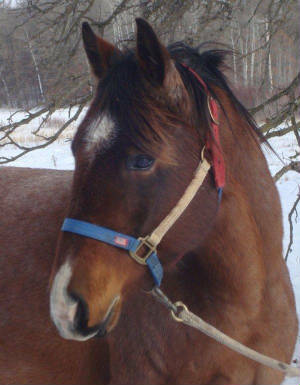 I would love to keep her and work with her, but we don’t have the right facility to separate her from the others and I think that would be best for both her and our other horses. It would also give me more time to train and work with the other horse, Chase, who also needs a lot of training but is much more easygoing and trusting. 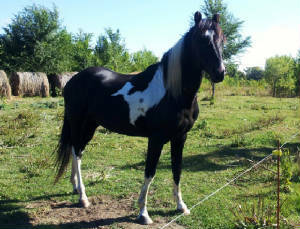 Baron: 6 year old QH/Paint cross gelding. 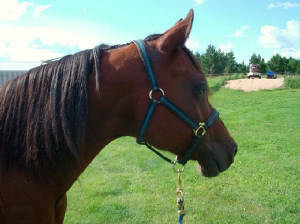 Baron is a very nice horse with a great disposition but is not sound to ride. He had Lymes and has had back issues, I think he may have nerve damage. I've tried chiropracters and supplements. I've owned Baron since he was born so this is a tough decision, but I board my horses and have to move them soon and won't be able to bring Baron along. 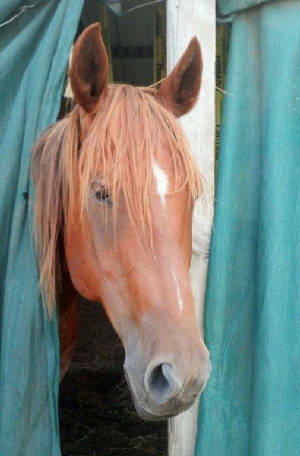 Free to a good home with references, would be a great companion horse. 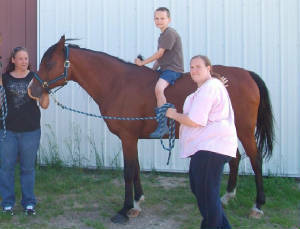 Please contact Amy for more information: amychris@charter.net Baron is located in Pillager, MN. 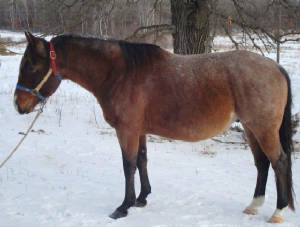 Missy: 2009 grade QH mare. About 14 hands tall. Super sweet and very athletic. Daughter has sat on her. Ready to start training. $150. 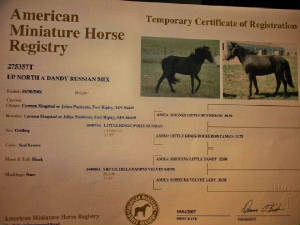 Please contact Bunny for more information: berdinyanovak@hotmail.com Located near Warroad, MN. 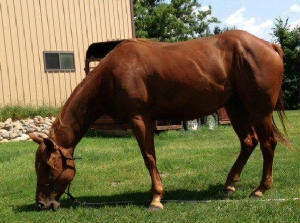 Paint mare and 1/2 Arab mare: Both 6 years old. 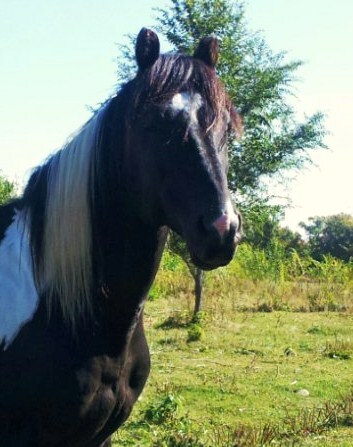 The Paint mare is halterbroke and very gentle. She stands well for the farrier. She is companion sound only. 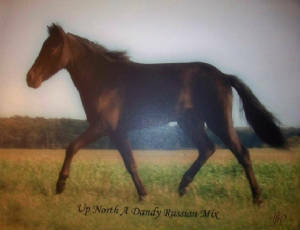 The 1/2 Arabian mare is a bay. She is halterbroke and very gentle. Good feet. Will make a nice riding horse when trained. Both mares are free to good homes. Please contact Shannon at: (320) 355-2629 for more information. Located between Hillman and Foley.